The objective is to learn how to plan and deliver a process improvement program from a proven framework. Students will learn specifically how to run a process improvement workshop in the context of an overall framework comprising discovery, analysis and improvement. This course is offered in two formats: online and on-site. The online course is instructor led webinar. The on-site course is instructor led and includes practical exercises for required for successful certification. Courses are available to the public by signing up at www.harvardcomputing.com or www.taskmap.com in the training section of our website. 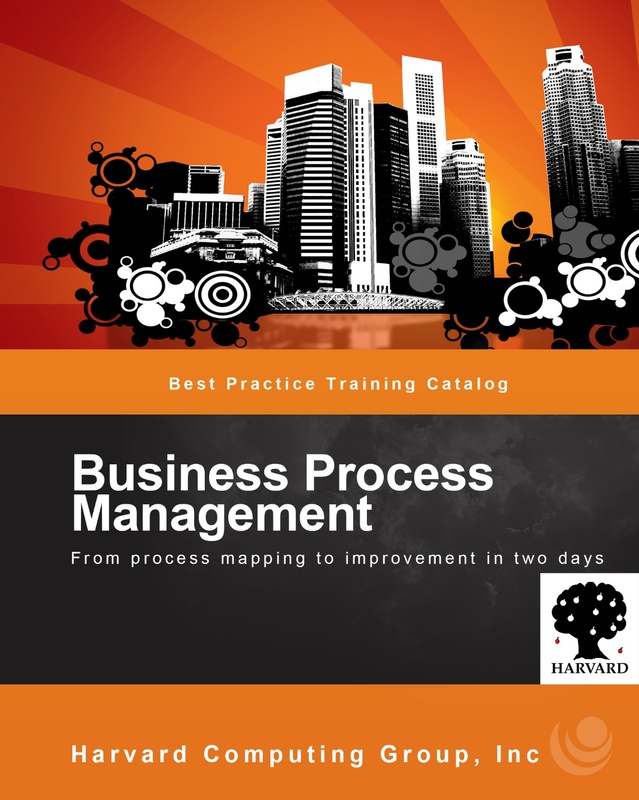 Segment 1: Business Process Improvement (BPI) defined and key terms. 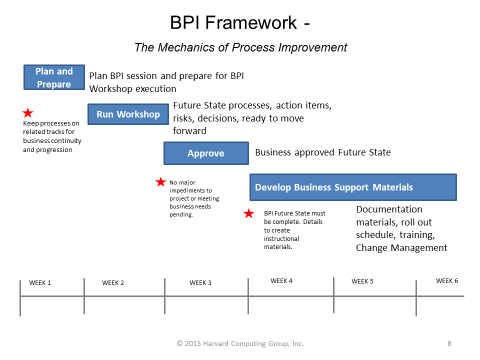 Segment 2: BPI framework overview and project timeline examples. Segment 3: Planning and Preparation. Objectives, input and outputs, and project responsibilities. Segment 4: Gathering business requirements and creating the business vision. Segment 5: Running a Business Process Improvement workshop. Key agenda items, consensus building, reviewing existing processes. Segment 6: Technology awareness. What it is and why it’s important. Segment 7: Guidelines for setting and agreeing goals. Segment 8: Identifying key performance indicators. Segment 9: Capturing the future state process. Segment 10: Developing business support materials. Segment 11: Managing the framework.